Media - Copywriting and Photography for Advertising and Marketing in South Africa. 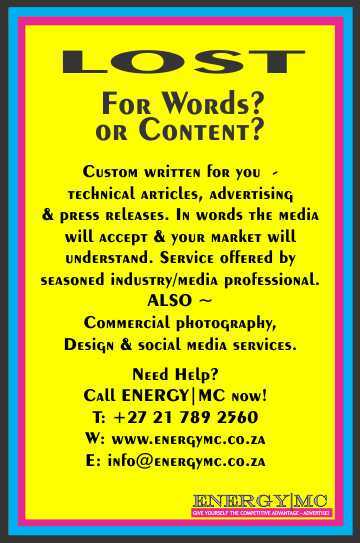 EnergyMC ( Marketing Communications ) provides clients with freelance copywriting, photography and media services. In Cape Town. Services include advertising, social media, press releases, copy writing, photography and an advert booking service. Services also for international clients. Are you spending your marketing resources wisely? Do you have any marketing media spend at all? It seems that the world economy has not yet recovered from the 2008 crash. Money is in short supply! From a marketing perspective that is potentially bad, since I often get asked by clients how they should optimize their shrinking marketing resources, or even do away with marketing expense altogether. The very worst thing you should do is stop communicating to your market. It takes years and money to build some equity in your brand. Reckless or short term decisions can throw that all away, effectively writing off your valuable advertising and other marketing spend of previous years. Brands are very much like the poppies. Here today, gone tomorrow, at least in the minds of the customer. Content - you need more than ever to develop your marketing message. What is it you are selling or providing? To whom and where? And what makes it unique? You need to have mind some brand stories - case histories if you like - that tell the client just what it is that you can do to help them. 1. Digital marketing. This is the best free resource of all, but meaningless if you don't have a coherent, sensible package of information that you want to send out to your prospects. By digital marketing, I include social media, especially. 2. Avoid spamming. At all costs. As an editor, I receive spam emails sent using free packages such as Mailchimp and others. They are an irritation and largely meaningless. Always ask for permission to send and do not base your email messages on images alone. Most email packages do not download images automatically so your nicely formatted newsletter comes out looking drab. 3. Editorial - and opinion pieces. As an editor of a business to business magazine, I like these. Especially if they are customized to my magazine by someone who has taken the trouble to find out what the focus of my magazine is. Editorial is published free in the print media, as long as it meets certain conditions. Hint however: Editorial should be professionally prepared! 4. Targeted paid advertising. Repeat, repeat, repeat - in the same space! Paid advertising is not always as expensive as it seems, since often the agency fee paid by the publisher covers the expenses of the administration and a basic level of desktop publishing by the agent. 5. Calls to action. This happens when you make the customer an offer online or in print, or your sales people make the call. It sounds great doesn't it? 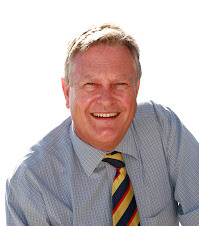 If you are ready for me information or for a no holds barred free telephonic consultation, please give my office a call 0 2 1 6 8 0 5 2 4 5 to set up a time with my friendly receptionist. Customised, On Target and Cost Effective. 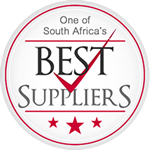 We subscribe to the SA Best Suppliers Code of Conduct. You can expect a fast response and professional service. Build your brand with powerful words – corporate copywriting and media brilliance. The world is awash with clever ways to promote your company. Internet, magazines, newspapers and social media all shout loudly in the business market. In order to succeed, your business has to stand out. But, what does your marketing say about you? Are your products or services overlooked? Or undervalued? Is your photography done inexpertly, using a smart phone? Can your clients even find you? For two decades, Energy|MC has been crafting potent words and images to tell your company story. We ensure that your business message shines through in all your marketing efforts. Whether you require content for advertising, editorial or social media programmes – we provide quality, engaging corporate copywriting services. And professional photography. An experience media strategist with expertise in general management gained from his career in the corporate world, brand communications consulting and more recently founding and practicing as a freelance integrated advertising agent. His working career of some 25 years spans the following areas: media, advertising, strategy consulting, sales and marketing, product launches and events. EnergyMC is in the business of growing your business and building your relationship with your market through photography, the written word and best-fit media. As a fully independent freelance service, the client receives the best mix of advertising, content, editorial and social media - all customised to own circumstances. No more wasted advertising spend, unnecessary cluttered marketing messages and nice-to-haves designed to look pretty. EnergyMC is serious about best practice - for you. Energy MC founder, Gareth Griffiths (pictured below) is a well respected copy writer, professional photographer and media strategist. This is where you get to benefit from some independent and cost effective thinking. Contact us at the telephone number below. COMMUNICATIONS INDUSTRY - COME ON - LOSE THE JARGON !